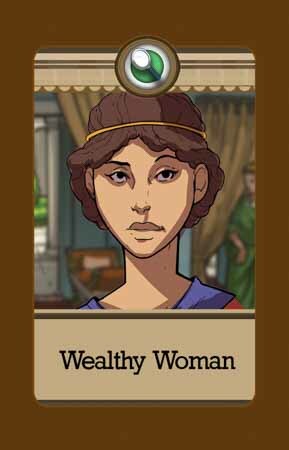 A new way to introduce social studies civilizations to your middle school classroom. Keep the learning going off the screen with a fun, interactive, discussion-based activity for students! 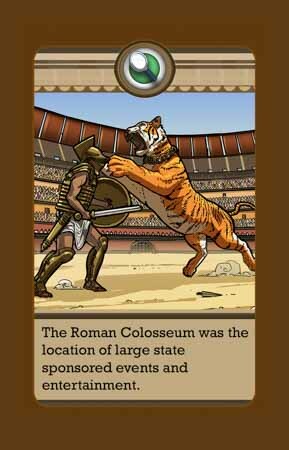 Each card deck allows 3-5 players for an average activity time of 30 minutes per session. This game is designed for middle school grades 6, 7 and 8 but can be used in earlier and later grade. Setup: Shuffle cards and lay out a 3×5 array of face up cards. 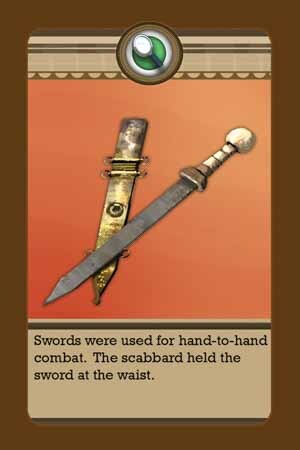 Place additional cards in a draw pile nearby. Play: Play is turn-based. Game continues until no cards are left in array. 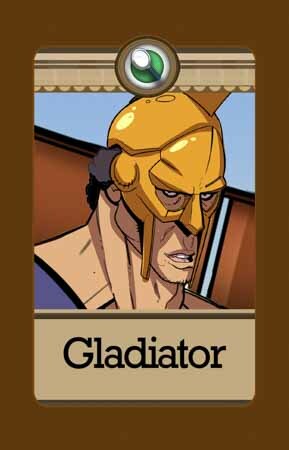 keeps the cards and earns 1 point; Thumbs down, cards are discarded, no points are earned. Fill holes in array from draw pile. 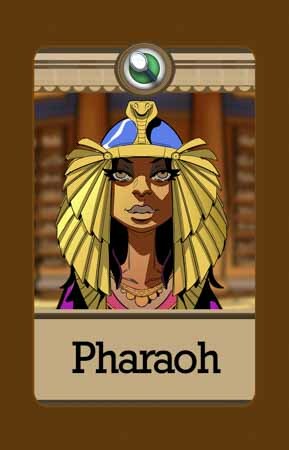 Card Combinations: combinations must include either a person or location card. Combinations may not include more than 1 person and/or 1 location card. Acceptable combinations are: Person, Location, Artifact; Person, Artifact, Artifact; Location, Artifact, Artifact. 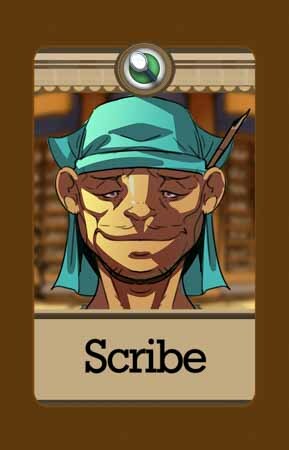 Sample Gameplay: Player selects Doctor (Person Card), Colosseum (Location Card), Surgeon’s Tools (Artifact Card). The Excavate! 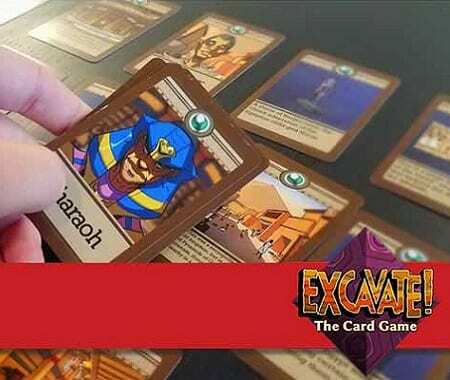 Card Game is a review game that allows students to showcase what they have learned while playing Excavate! Students can showcase their knowledge by connecting people, places and artifacts with historically accurate explanations. Increase the difficulty by challenging students to use divergent thinking and connect items that don’t seem to have a connection at first glance. 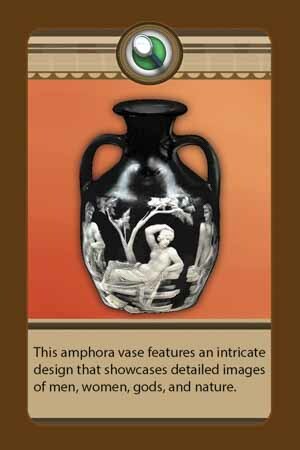 You’ll be amazed at how your students connect a gladiator sword to lead pipes or a set of marbles with an fresco wall painting. A perfect way to review content while playing a creative game! 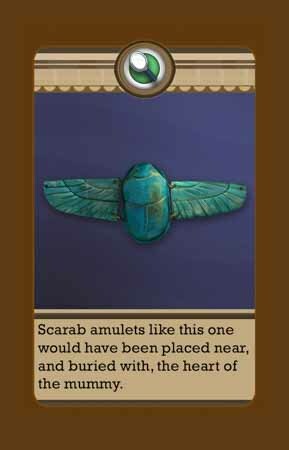 The Excavate! 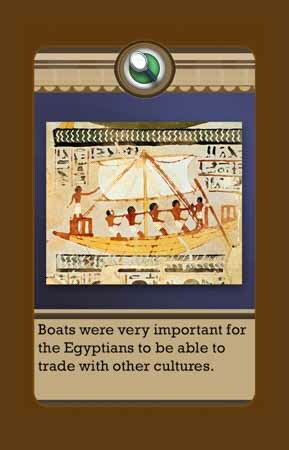 Card Game is a companion curriculum learning activity that we developed for teachers to expand the Excavate! experience beyond the screen. 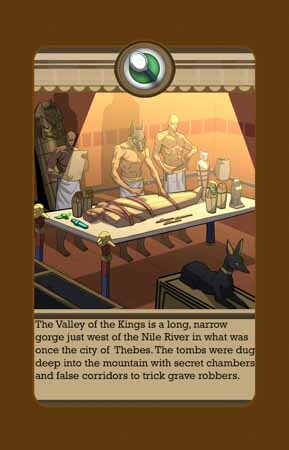 Originally a free printable download for a DIY card deck, the game was so popular we decided to publish printed card decks for the Rome and Egypt civilizations. These are now available in limited numbers for a nominal fee to cover our production and shipping costs. 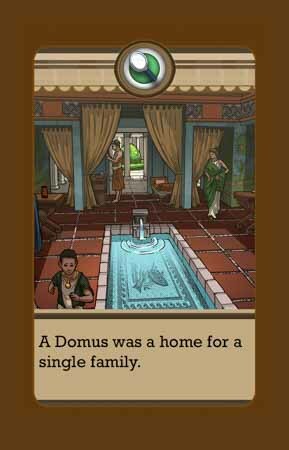 This middle school social studies activity is a great way to break into the discussion of a new civilization or review content throughout the school year. 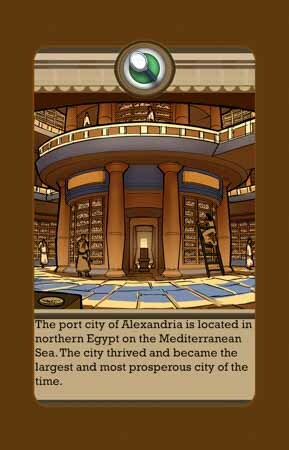 Get this educational card game and begin getting students engaged to ancient civilizations!